Trendy, modern and cozy. These 3 words describe ibis budget Stein Maastricht. The hotel is easily accessible thanks to the location close to the A2 highway and close to Maastricht-Aachen Airport. 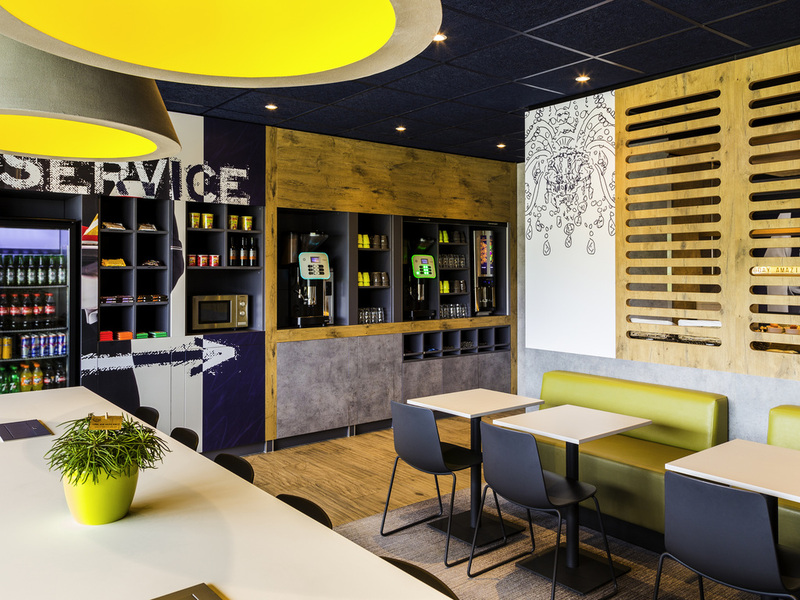 The ibis budget Stein Maastricht is located close to the highway A2 and easy to reach by car and public transport. Enjoy the latest trendy ibis budget rooms with free WIFI and a comfortable separate bathroom. You will have a great start of the day with our delicious all you can eat breakfast buffet. A 15 minute drive brings you into the historical city of Maastricht or the beautiful nature of Limburg. Free parking facilities available in front of the hotel. Ibis budget Maastricht Stein is perfectly located next to the Steiner forest and easy to reach via the A2 highway. Come and stay in the newest type of ibis budget rooms and discover modernity and cosiness; with a comfortable Sweet Bed by ibis, a flat screen TV, free WIFI and a separate bathroom, you will enjoy your stay! We are happy to welcome you in our lounge where you can relax with a well deserved drink after a busy day.